Abu Road is a city and municipality situated in Sirohi district, Rajasthan state, India. It is also the tehsil headquarters of Abu Road Tehsil. The place holds great significance because it lies southeast of Mount Abu. 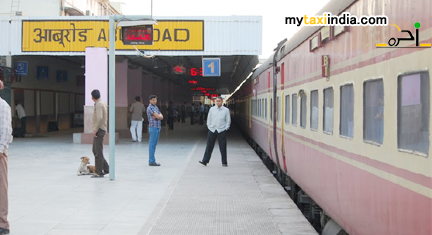 The railway station of Abu Road is a crucial stop on the main Indian Railways line connecting two major cities of the country; Delhi and Ahmedabad. Abu Road railway station is managed by the North Western Railway zone of the Indian Railways. The railway station of Abu Road is also connected widely a number of cities and towns in Gujarat including Surat, Ahmedabad, Vadodra, Porbandar, and Bhuj. Being the largest city in Sirohi district in terms of area and a financial hub of the state, the city holds a lot of tourist value. One of the major tourist attractions of Rajasthan, Mount Abu is only about 27 km up the hill from Abu Road. If you are visiting the city for a tour with family and friends, pay a visit to other tourist attractions around including Chandravati, Jirawala, a Jain temple complex, Bhadrakali Temple, Sadar Bazar, Mount Abu, Siyava village, Ambaji, Mungathala, Shree Pavapuri Tirth Dham, and Gau Shala. Hiring a taxi in Abu will help you enjoy the tour in Rajasthan and areas around better. At My Taxi India, we offer unprecedented car hire and airport transfer services to travellers. We aim towards ensuring you a pleasant tour experience at affordable prices. With a fleet of well maintained and thoroughly checked cars to serve you as per your requirements and budget, a full fledged team of experienced chauffeurs, 24 x 7 customer care team, and engineers to keep tabs on condition of vehicles, you can expect only the best from us. The team of professionals serving us holds several years of experience and expertise in providing adept services to travellers in Abu Road and Rajasthan state. You can select from a wide range of vehicles to suit your specific budget and requirements. Hiring our services means you'll not require facing hassles or struggle arranging for a commutation option for your requirements. We strive hard towards making their tour memorable for a lifetime.